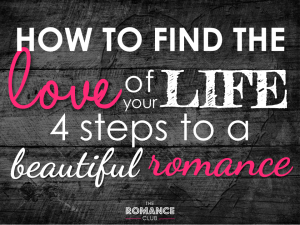 All content of this website is owned by Stephanie Priest, The Romance Coach, The Romance Club. We collect personal information from you when you communicate with us by any media. We may also collect personal data which relates to you from third parties. 6 to enable you to transact within subscriber/ member only areas of the website, such as make bookings or complete enquiry forms. The Club is only permitted to process your personal data if a condition set out in the 1998 Act applies allowing such processing. If no condition applies, we can only undertake processing with your consent. In many cases we are obliged by law to process your personal data for a specified number of years (e.g. if you purchase goods and/or services from us); therefore, if you withdraw any consent from us to process your personal data, it will only apply to processing we undertake for direct marketing purposes. You can withdraw your consent to receiving direct marketing communication by contacting The Club at any time (email address below). Any personal information you give to us will be treated in the strictest confidence, and we will not pass on any personal information to third parties without your consent. The Club may continue to process your personal data after you have ceased to be a subscriber/member of The Club, or after we have sent any information requested by you. Certain personal information is categorised by the 1998 Act as ‘sensitive personal data’. In some circumstances, we provide you with the opportunity to inform us of your sensitive personal data e.g. whether or not you are registered as disabled. You may also wish to inform us about your sensitive personal data to ensure that we can provide you with the most appropriate service. By providing us with this data you are consenting to our processing it for the purposes for which it was given e.g. to provide information that will affect you attendance at a Club event. Please note that if you fail to inform us of any sensitive personal data which may be relevant to your circumstances, this may mean that we cannot provide you with the most appropriate service. From time to time we ask our members to complete research surveys so we can improve the service given to them. Your response to such surveys is voluntary and confidential and will be used only for internal planning and development purposes. You will receive a reply as soon as practicable provided that we do not require proof of your identity. In accordance with the Data Protection Act, we reserve the right to charge you an administration fee of £10, payable by a postal order or a personal cheque made payable to The Romance Club Limited, and sent by first class post to the above address, in relation to each request that you make. If we request payment of the administration fee then we will not reply until after we have received your postal order or your cheque has cleared. 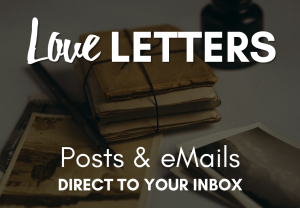 If any personal information held by The Romance Club is inaccurate or you wish to make any changes to personal information previously submitted to us, please write to the above address clearly explaining what amendments you wish to be made. Payments to and through the site will be via PayPal to minimize the risk of sensitive financial information being held by The Club. However, please be aware that despite the security measures we have in place no computer system is completely secure and there is always some degree of risk whenever personal information is transferred. We will not disclose your personal information to any Government agencies or authorities except if required to do so by law. The content our members contribute, in discussion forums, social media comments or reviews for example, is moderated during business hours. When users post links that are considered ‘spam’ we will remove these links as quickly as we can. The Romance Club will not use your information for direct marketing purposes, only to advise you of forthcoming events and products or services which may be of interest to its subscribers/members. Please note that if you make such a request, you will continue to receive communications relating to the administration of your membership and any services purchased. Your emails to us may be monitored for quality control purposes. 1.2 You are solely responsible for any username or password that you select when accessing and using your membership, you must not share your password with anyone else. 2.1 All materials on the Site and all intellectual property rights in the Site are owned and/or controlled by The Romance Club. All materials on the Site are protected by copyright. Permission is granted only to electronically copy and/or print in hard copy portions of the Site for personal non-commercial purposes. Any other use of the materials on the Site (including but not limited to making such material available on any other website, online service, bulletin board or networked computer environment) is strictly prohibited. 4.1 Commentary (including but not limited to member comments) and other materials posted on the Site are not intended to amount to advice on which reliance should be placed. We therefore disclaim all liability and responsibility arising from any reliance placed on such materials by any visitor to the Site, or by anyone who may be informed of any of its contents. 5.1 Whilst The Romance Club has taken reasonable precaution and care in compiling the Site, we do not make any representations or warranties of any kind (expressly or implied) with respect to the content or operation of the Site and any such representations and warranties are excluded by this notice. We do not warrant that use of the Site will be uninterrupted or error free. 5.2 Your use of the Site and the materials contained in it are done so entirely at your own risk. The Romance Club does not accept any liability for losses or damages, whether direct or indirect, that you may suffer as a result of your use of the Site or your reliance on the content of the Site including but not limited to computer service or system failure, access delays or interruption, data non-delivery or mis-delivery, computer viruses or other harmful components, breaches of security or unauthorised use of the system arising from “hacking” or otherwise. 7.2 Any material you upload to the Site will be considered non-confidential and non-proprietary, and we have the right to use, copy, distribute and disclose to third parties any such material for any purpose. We also have the right to disclose your identity to any third party who is claiming that any material posted or uploaded by you to the Site constitutes a violation of their intellectual property rights, or their right to privacy. 8.1 You agree to indemnify, defend and hold The Romance Club, its licensors, affiliates, officers, agents and other partners and employees harmless from any and all loss, liability, claim or demand made by a third party due to or arising out of your use of the Site. The Romance Club reserves the right, at its own expense, to assume the exclusive defence and control of any matter otherwise subject to indemnification by you, and in such case, you agree to fully co-operate with The Romance Club’s defence of such claim. 9.2 The content of the Site, any dispute arising out of the Site and your relationship with us is governed by English law and you agree to submit to the non-exclusive jurisdiction of the courts of England and Wales. The Site is operated from the UK.